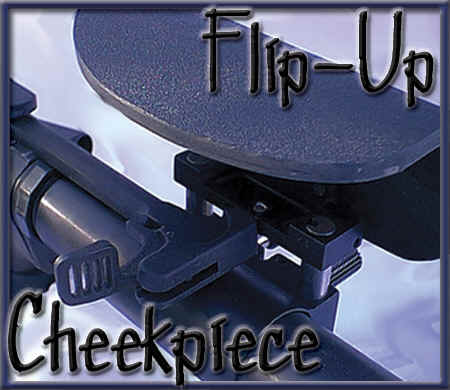 Adjustable buttstock for AR15/AR10 & SR25 type rifles with the NEW FLIP-UP CHEEKPIECE. 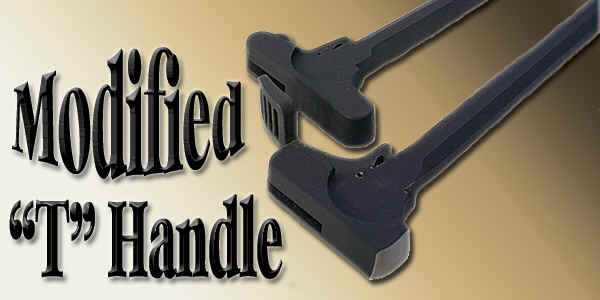 This new design allows the cheekpiece to FLIP-UP out of the way, so that a slightly modified charging can be used WITHOUT CHANGING THE UPPER RECEIVER. 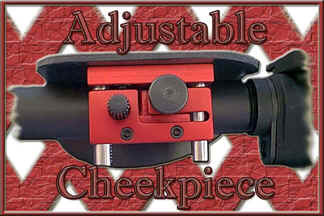 be trimmed to allow clearance for the cheekpiece mechanism.